Move over, sheep. Adios, alpacas. You don't need a pasture or hay to make soft, lovely yarn. You just need a dog. Raw dog hair prior to spinning. Clothing and other items made from dog hair, sometimes referred to as chiengora (chien is French for “dog”), isn’t a new niche fad – in fact, it’s been around for centuries. The Salish, indigenous North Americans who lived in the Pacific Northwest, were known for making blankets from dog hair. Nowadays, considered a luxury fiber by those who spin it, dog hair has yet to make waves on the commercial market. Instead, commission-based spinners craft individual keepsakes as long as you supply the hair. 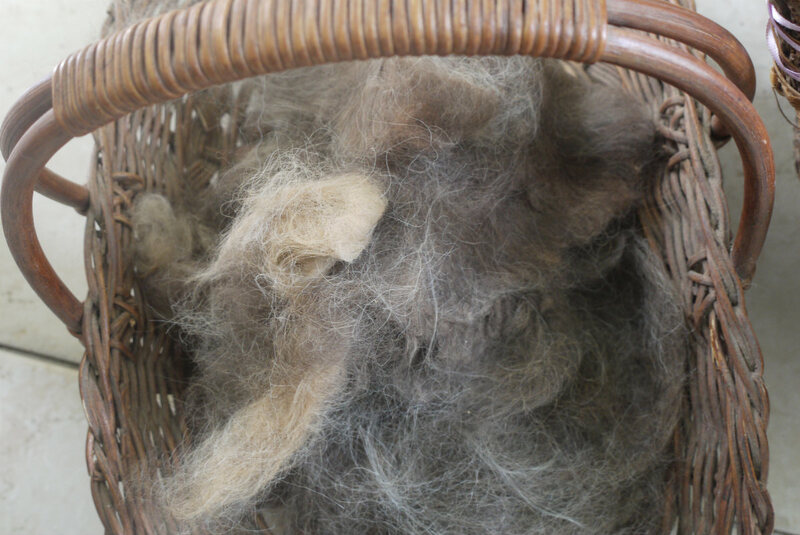 Most spinners working with dog hair were lured into the craft by their interest in spinning and the convenience of having their own (hairy) dogs. Such was the case with Doreen Kelly, of West Seneca, N.Y. A spinner for 12 years, Kelly has two Collies and “an endless amount of dog hair,” she says. 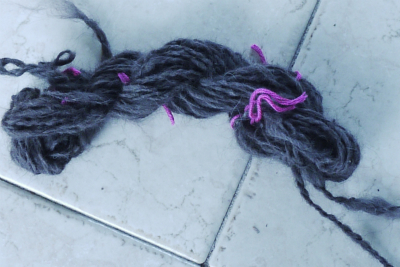 The so-called “double coated” breeds of dog are the best for making yarn. Breeds like the Collie, Old English Sheepdog, Burmese Mountain Dog, Samoyed and Golden Retriever have a dense, soft, insulating undercoat beneath their water-propelling outer coat made of stiff and much thicker guard hairs. 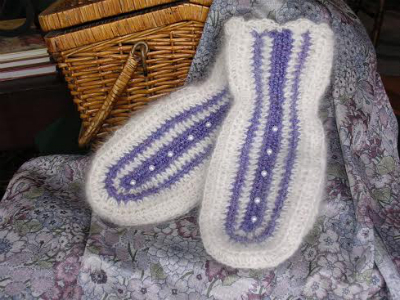 The undercoat is mostly what is naturally shed, ends up on your couch, and can be turned into items such as mittens, scarves, pillows and blankets. Structure influences function and with fiber it’s no different. Sheep wool is known for its stretch and shrinkage, which is due to the natural crimp of each individual fiber as well as the presence of microscopic barbs. “The reason wool shrinks is because those little barbs that are on the hair catch on each other and keep catching. That’s why the item seems to get smaller and smaller,” Kelly says. Dog hair can be up to eight times warmer than sheep wool. 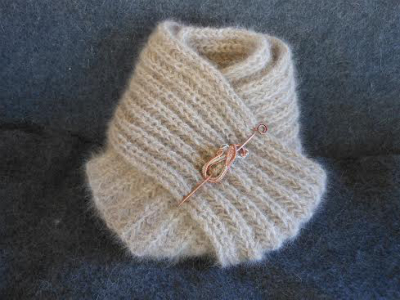 Another striking element to knitted dog hair is its halo, a knitting term for the soft fuzz that outlines an item. Angora rabbit fur has a similar feature, which adds to softness and is considered luxurious. Many spinners liken dog hair to Angora rabbit. “If you held an item made of dog hair up to the light, you would see this beautiful fuzz that sticks out,” Kelly says. This halo also adds to dog hair’s warmth. One serious grooming session with a brush – or vacuum behind the couch – may be enough to make those mittens you’ve always wanted but spinners warn not to use hair shaved from a dog. “When you clip, you get stubble along with the long hairs,” says Betty Kirk, who teaches classes on different types of spinning and weaving in Lemont, Illinois. Perhaps part of the reason dog hair may never be mainstream is a certain reaction to having a clothing item made from dog hair. 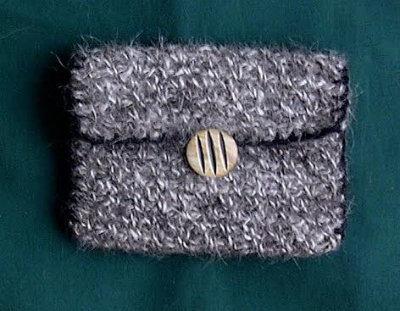 Individuals interested in an item made from their dog’s hair can mail the hair to spinners who will then clean the hair, spin it to make yarn, and then knit the yarn into a final product. Part of the stigma is from the incorrect assumption that something made from dog hair will therefore smell like a dog. “People don’t understand that if you have a wool sweater, when it gets wet, it smells like wool, not like the sheep in the barnyard,” Kirk says. Likewise, wet yarn from dog hair smells like wet yarn, not like wet dog. This sort of thing might make one wonder what else out there could be spun. Domestic cat hair reportedly can be used, but what about something more exotic? 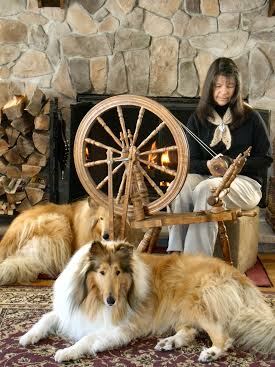 I’m interested in learning to spin then knit my samoyed’s hair. I have two standard poodles. One is white w very dense curly hair and the black female has silkier straighter hair. Will poodle hair work well for spinning? Could you blend it for a grey color variegated yarn? was wondering if you could spin husky fur into yarn for me to use in knitting and if so what are your prices? Is there a person someone can recommend me to? I would like to send my dog’s hair to get it cleaned and spun professionally. I’m not exactly sure where to look. I’ve been saving it for a while now and would really like to use it for winter attire. 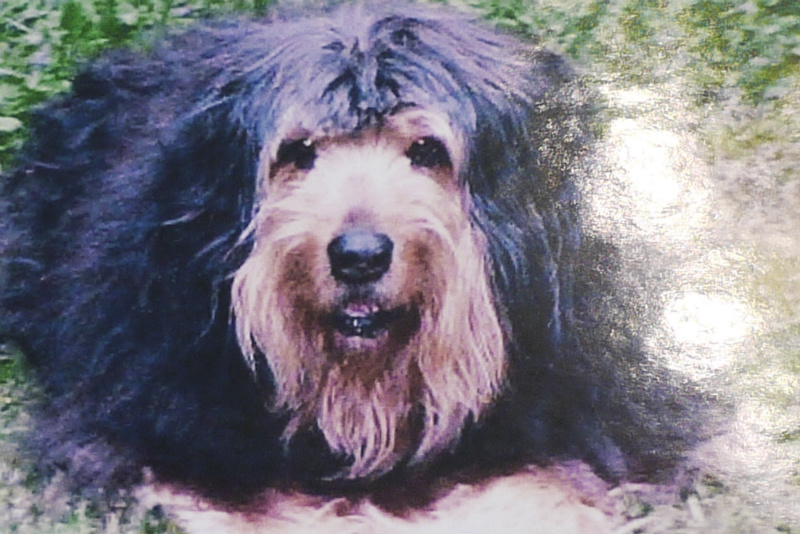 My Tibetan Mastiff passed away last month. I saved a kitchen garbage bag size of her fur. I’d love to get it woven into yarn and make a scarf that I can treasure for ever. I have a german leonberger. What will you charge to make scarf?